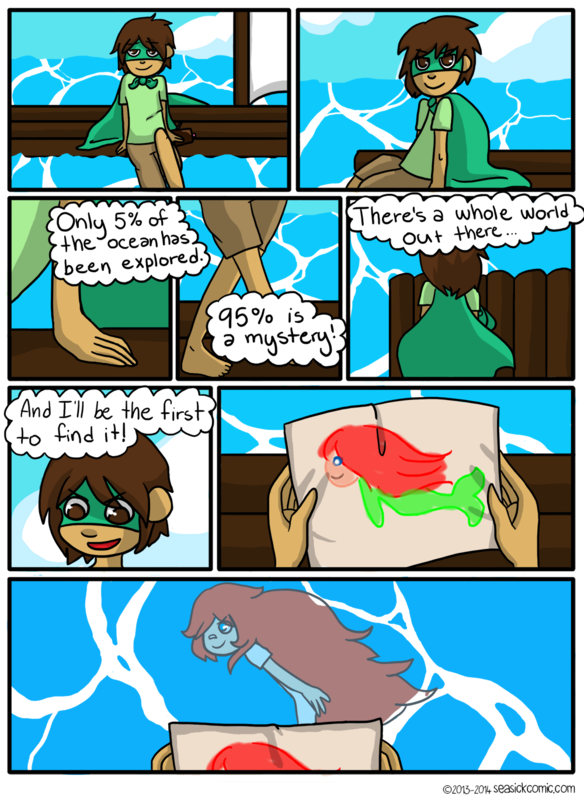 Chapter One – Page Four – Seasick – The Underwater Adventure Comic. Updates Fridays! on January 22, 2014 and modified on January 25, 2014. The girl main character’s finally introduced! So….gotta go change the cast page. Eventually.